First Farmers Market for Winston today! What a gentleman. Then, as if the day wasn’t special enough, Mac and Jennie left little man a surprise welcome gift! How sweet and special is that???? Thanks, Mac and Jennie! And, of course, your wonderful peep! 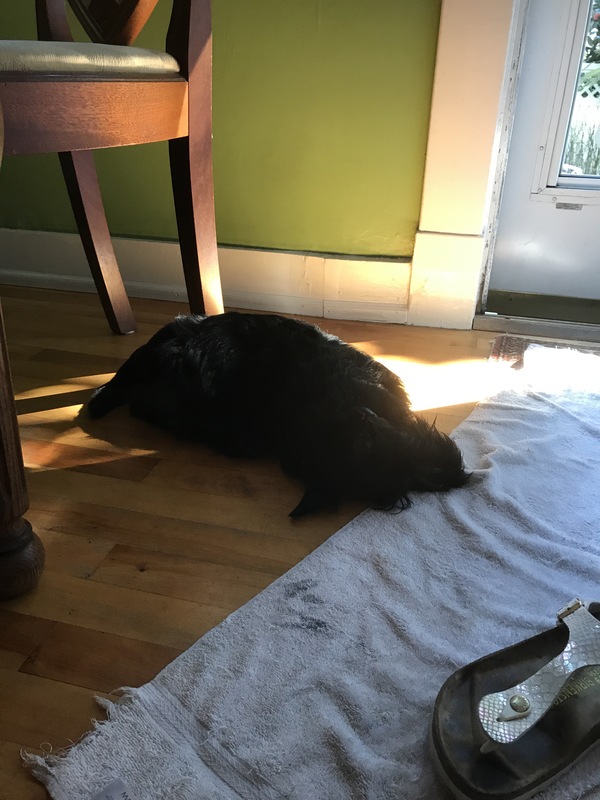 This entry was posted in The Scottie Chronicles and tagged dog gifts, dog photos, dogs, pets, puppies, Scottie dogs. Bookmark the permalink. First Farmer’s Market for Winston! By any chance did a bag of green beans come home with you? 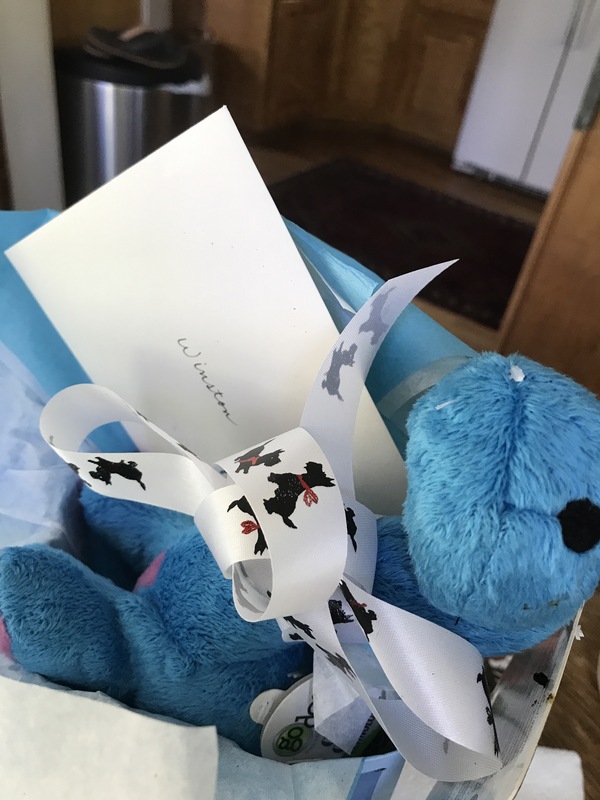 The blue stuffy looks like he’ll be a lot of fun to play with – but there will be plenty of time for that after your Saturday snooze. Big day and great outing! How old is Winston? What a thoughtful gift. Pawfect day. Fiona is loving this weather. Look at that sweet Winston, plum tuckered out from his big day – one of what will be many “firsts”. It’s probably a very good thing that he’s so tired, because he doesn’t have the energy to chew up that flip flop! He is a cutie. Enjoy the puppy time. It goers by so quickly. Farmer’s Market means GREEN BEANS!! !